We offer a full range of property management services tailored to you as an investor, homeowner, or landlord. 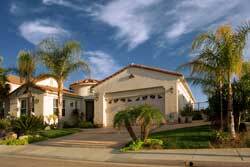 We manage a portfolio of single family homes, townhouses and condos and mixed use residential/commercial units throughout the Concord Area. What sets us apart from other companies is our urgency to lease your property as if it were our own. 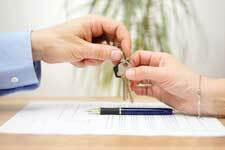 We focus on leasing as quickly as possible, at the best market rate and to the most qualified tenants. We take pride in having the lowest vacancy for the units we manage. We know this gives you more money in your pocket. Ultimately, our goal is to help you grow your real estate wealth and provide a comfortable future for retirement. Deposits are preferred to be held by the broker in a Broker’s Trust Account, but can be held by the owner as well. Whoever holds the deposit is responsible to return it to the broker for proper disbursement and refund to the tenant within the legal timeframe. The amount of deposit requested can vary according to the tenant. Normally, a 1-month deposit and first month’s rent is sufficient to lease. A flat lease preparation fee is charged for the time to bring a property to rentable status. We analyze the property, list what is needed to prepare it for lease, arrange for repairs, paint, carpet, dumping, staging, or whatever is necessary to market the unit. We prefer the guts of the property are in good and safe working order to reduce liabilities. We work with the owners to keep the condition of their home in good working order. We currently use a CAR form for the lease agreement. We may change that to our own company lease agreement in the future. We firmly believe a property should have a home warranty, renewed each year as an added protection in an effort to reduce repair costs for the homeowner. If there is a repair request, the best way to get a hold of us would be to email us at: repairs@rescom-properties.com We will get back to you within 24 business hours. If there is an emergency, please follow your emergency guidelines. Concord is the home of the annual Concord Jazz Festival and was the home of the Concord Records jazz record label until it was bought in 1999. Jazz musician Dave Brubeck was born in Concord and in 2006 a park adjacent to Concord High School on Concord Boulevard was renamed in his honor. Concord is also home to the 17-time World Champion Blue Devils Drum and Bugle Corps. The corps is made up of talented musicians from around the world. The Concord Blue Devils are the most decorated drum and bugle corps in the history of Drum Corps International. The Public-access television channel is operated through TelVue Virtual Television Networks.